If you caught our 2018 year in review, then you can already guess some of the designers we’re keeping an eye on in 2019. 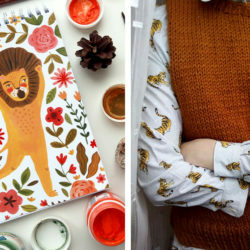 These rising artists have made a name for themselves in the Spoonflower Marketplace with their unique design aesthetics, by participating in our Weekly Design Challenges and always staying abreast of the latest design trends catching the eye the Spoonflower maker community. 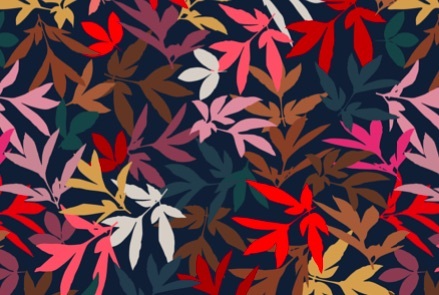 If you aren’t already following these five designers on Spoonflower and social media, you’re missing out on some major design inspiration! 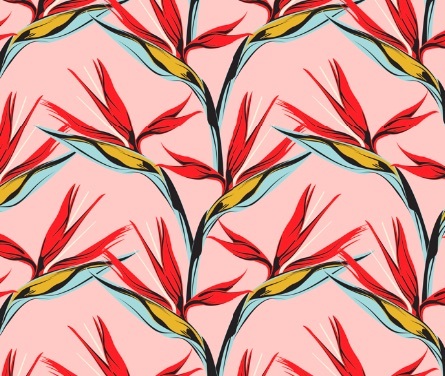 From professionals and self-taught artists to those who sought a creative outlet for brilliant ideas, we sat down with these five designers on-the-rise to learn their stories, hear their advice and find out how they got started designing fabric. What led you down a creative path? 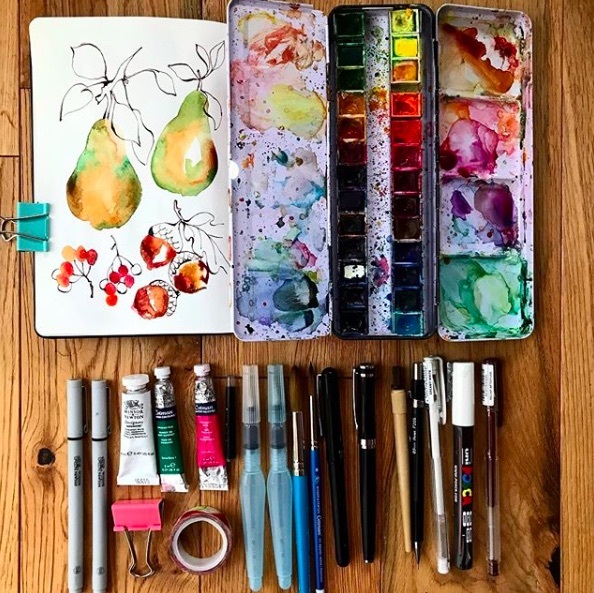 Michael: I recall painting a purple and red cat in kindergarten during “free time”, which started this chain reaction of my teacher suggesting I take art classes outside of school on weekends. Danika: I remember calling my Mom in college in tears because I had decided to change my major from Biology to Art. I was so scared because I knew I loved making and creating, but I didn’t know what I was going “to be” or do with an Art degree. She told me, “You are going ‘to be’ lots of things throughout your life, and if you love what you do it will all fall into place.” Scary advice, but it really is true. 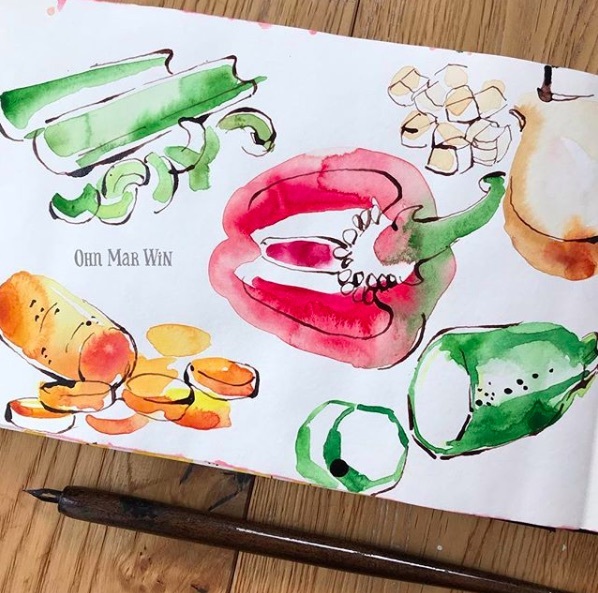 Ohn Mar: I have always been creative since an early age and even went on to college for a degree in advertising and design, although I switched to illustration a year into it. After graduation I had a dual career as an in-house greetings card artist and a freelance editorial illustrator. I gave this part of my career up soon after the birth of my first child and eventually took eight years off in total. I only returned after my second child started school and I started a brand new portfolio which included a bit of surface pattern design. Janine: I think my mother is the reason I wanted to go down a designing path. She’s a talented artist and that fostered an environment that allowed me to explore my creative side. Katherine: I have always been creative for as long as I can remember. One of the rules I grew up with was that I could do whatever I wanted as long as I cleaned up when I was finished. So I had a lot of creative freedom as a kid: making movies, designing future houses and creating books for the kids in my mother’s class. So I knew working in a creative industry when I grew up was always on the cards. Michael: It happens to the best of us, and it is quite possibly the worst feeling in the world. If being creative is a super power, then being blocked is like kryptonite. But you have to push through it. I find there isn’t one way to deal with it. Sometimes it’s counterintuitive, but you just have to walk away, give yourself space, or new experiences. You can’t pull water from a dry well. Other times I throw myself into a mindless exercise-working on something that isn’t really “mine”. Like a freelance project, or a prompt, or something outside the norm. In that way it becomes more zen, more paint by numbers. The end result isn’t as close to your heart, and you can approach it more like an exercise and stand back and be objective. Sometimes wearing a different hat for a day can help clear out the cobwebs. Ohn Mar: I find the best actionable step is to remove myself completely from where I usually work. Perhaps for a few hours or even days, do something completely not design related to give your brain and your creative soul a little breathing space. And most important of all not to stress about the fact you’re in a rut as it seems to make it worse. Danika: I keep a binder with all my designs in it, and right on the cover is an ongoing to-do list I am constantly updating with ideas and designs I’d like to create. (I’m a list maker, and if I don’t write them down I swear I will forget them.) When I get stuck, I randomly choose one to work on and see where it leads me. Katherine: I usually go back to what I know, which is creating a little character and developing a story around it. That seems to pull me out of the rut and gets my creative juices flowing again. Or sometimes I like to have a chat with my 2 and a half year old grandson or my 13 year old son or my 46 year old partner about random things… one of them will usually spark an idea. Janine: The best thing for me to do is to give myself some distance from designing. I try to work on or think about something unrelated to it and I might find some inspiration when I do that. 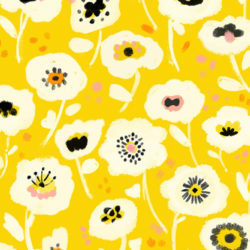 What advice do you have for other designers who want to sell their artwork on Spoonflower? Michael: Take the plunge and see what happens. Katherine: Just do it… get in there and start making patterns.I think if you have a collection of lovely well designs icons/motifs you can’t help but make a lovely pattern. 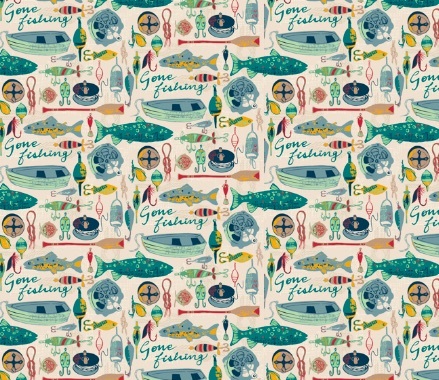 Ohn Mar: I think the Spoonflower Design Challenges are a great way start building up a portfolio for sale as it’s always relevant and on trend. That’s how I started even though I wasn’t very confident. 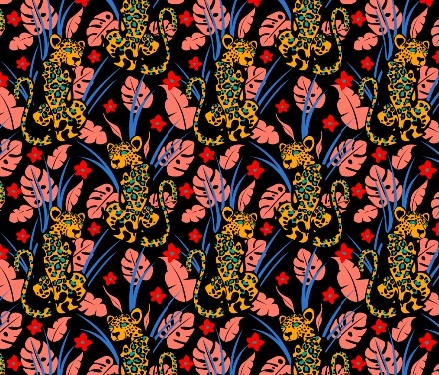 It really helped me grow as a surface pattern designer and understand what makes a valuable design. Danika: Have patience and don’t stop learning. I was so overwhelmed having to relearn Illustrator and Photoshop when I first started, but there are so many great tutorials out there. Try to learn something new everyday. 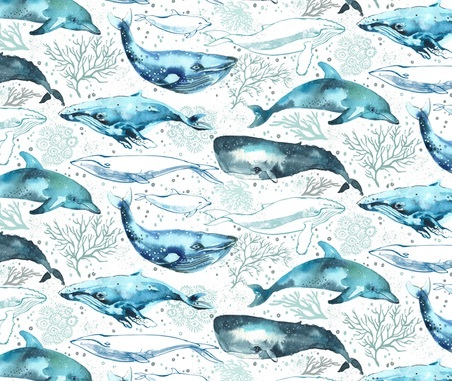 Janine: My advice for selling on Spoonflower is to have a willingness to share your designs. The more people see your work the greater your chances are. 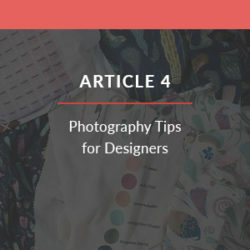 Also enter the design challenges, they’re a great source for design inspiration and visibility. How do you stay on top of design trends? Michael: I am always looking for trends and icons (you can visit my Pinterest page to take a look). Pinterest and Instagram are the new “magazine”. I almost totally rely on them more than any trade mag, blog or trade show. From there you just start connecting the dots. What keeps popping up? What seems avant-garde? What seems mainstream? What sparks an idea or how do I put a spin on it? Danika: I’m an interior designer, so trends are always in my face. I see a lot of overlap in what is selling in my shop and what my clients are asking for, and that often spurs a new collection. Interestingly enough, despite the pattern’s design or trending motif, color combos like black or blue and white and pink and oranges have always been strong. Ohn Mar: I live close to London so I’m able to attend a lot of interiors and design trade shows, throughout the year which are very informative. And one of my favourites is going window shopping down Regent Street as trends emerge from fashion into home textiles. Janine: I look at design and fashion blogs for trends. I think some of my tropical and floral prints have been on-trend lately. What are your personal design goals for 2019? Michael: So I have this “mood board” I created, of essentially what I think my “brand” would look like. It’s the one thing I struggle with because I do so much work for other people, (both in work and in freelance), my own vocabulary can sort of get lost. So I’m setting a goal to work more for myself and do some design work that is more specific to me. The second thing I’d like to do is to get more art out in the world of licensing, specifically in home décor, stationary and giftware. Katherine: I would like to explore more animal patterns and I would love to learn to create some really cohesive collections. Ohn Mar: Stay true to myself as an illustrator and surface designer. I don’t have to chase every market, every trend or every palette out there. Janine: Work on more collaborative projects with other designers. I had the opportunity to work with great designers and makers in 2018 and would like to continue with this into the new year. Danika: I would love to shift gears and design a kid’s line. 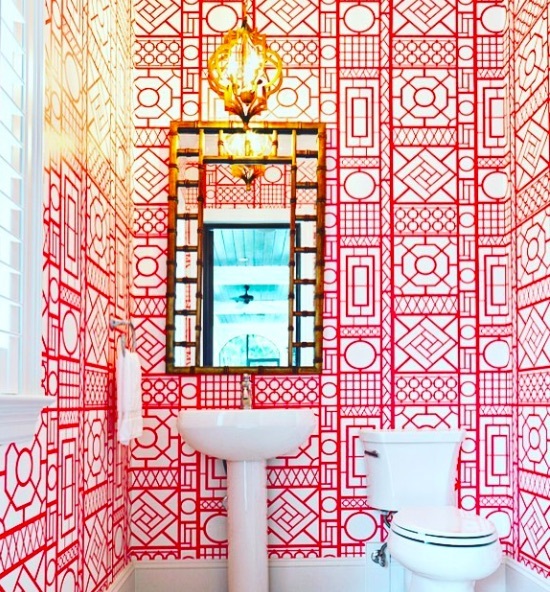 Do you have any design trend or color predictions for 2019? Michael: I’m personally feeling big cat-tigers, leopards, cheetahs. Oh, and also zebra. Danika: I have noticed a shift from cool gray to more taupes and beiges. Rich greens and cognacs are still strong and blue never goes out of style. Navy is my black. It goes with everything. Ohn Mar: I feel there is a midwest Americana/ desert nomad vibe happening with woven textiles as inspiration. Along with a palette influenced by canyons and deserts, spicy reds, oranges and rich purples. Janice: I like the bold outlined tropical/floral prints and I’ve also been into monochromatic all-over prints. 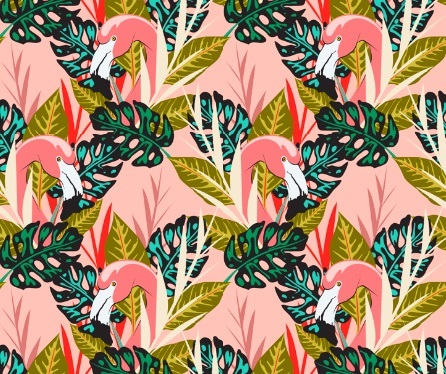 Katherine: I think hand-drawn will continue to be a popular look, metallic hues and pastels as neutral colours… and maybe a lot more flamingos, which goes with Pantone’s 2019 Colour of the Year. 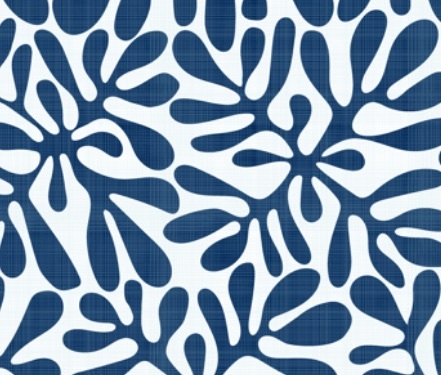 Are you ready to take the next step and upload your designs to the Spoonflower Marketplace? 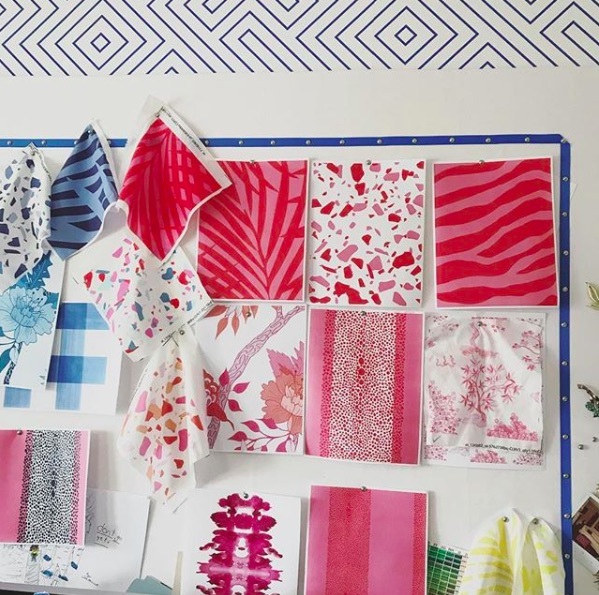 Be sure to check out the Spoonflower Seller Handbook before you get started! Really fun to read about these fabulous designers and their processes. Great stuff!